We’ve all heard of the proverb, “an apple a day keeps the doctor away”.In reality, it’s more like, “a fruit a day keeps the doctor away”. Fruits are packed with vitamins, minerals, and all the required nutrients that are essential not only for the well-being of your body but also for beautiful, clear, and glowing skin. 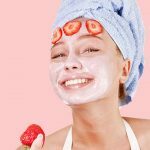 Fruit facials boost your skin with natural goodness, and also help you do away with harmful, chemical-induced facials,which definitely give you the desired results, but leave their trail behind on your skin. On the other hand, the fragrance emitted when you applyafruit pack on your face has spa-like benefits that relax and de-stress your skin. 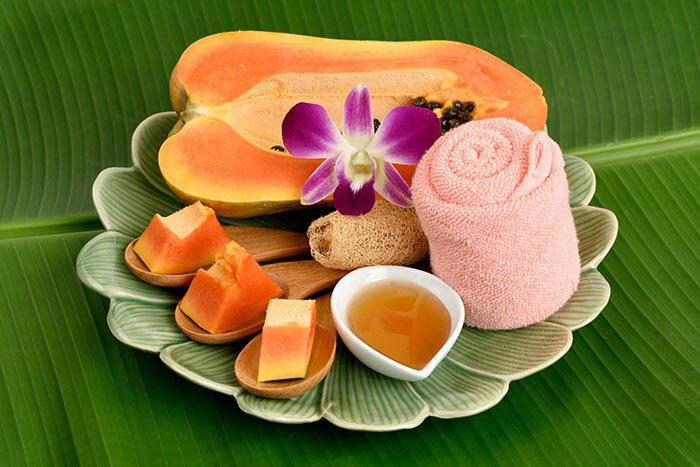 Therefore, it is best to indulge in these cost-effective andnatural fruit facials that offer guaranteed results. Here are some popular ones that are quick and easy,and will give you hydrated, healthy, and glowing skin. But before we go on to the recipes, these are a few tips to keep in mind when you make these DIY face packs. Make sure the masks are always applied on skin that is cleansed and exfoliated. Exfoliation will not only remove dead skin but also enhance blood circulation, which will improve the results of the pack. Make sure you blend the fruit well so that you can extract as much as pulp possible. Make sure all your chores are done and your mind is relaxed when you do the facial. You need to sit still when you apply the pack. Not only will it allow the pack to rest and prevent it from sliding off your face, but it will also help you calm down and unwind. Make sure you are wearing old clothes as fruit packs are ought to be messy. Some fruit pulps are extremely fluid;they will not remain on your skin.So, to add some volume, you could add oats to the fruit pulp. It will help the pack stay on your face, and offer added benefitsas well. When you apply a pack, you should cover both the face and the neck, as they are both exposed to the same environment. Honey – Hydrates the skin and improves acne resistance. Lemon Juice – Kills bacteria, reduces blemishes, improves complexion, and fights acne. Yogurt – Removes excessive oil, protects the skin against harmful rays of the sun, and reduces tanning. It also makes your skin smooth and soft. 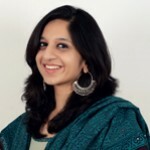 Milk – It acts as a great cleansing and moisturizing agent. It enhances skin elasticity and improves the complexion as well. Green Tea – It helps in rejuvenating the skin. Papaya is a wonder fruitthat is available all around the year. While many people are not too fond of ingesting the fruit, it is packed with great benefits and works wonders for the skin when topically applied. Blend the papaya such that it becomes a nice, smooth pulp. Apply generously on clean, dry skin. Allow it to rest for about 15 to 20 minutes. Once you moisturize, you will notice a healthy glow on your face. This pack is safe to use for women with normal to dry skin. Use this pack once a week for best results. Papaya is rich in vitamin A and an enzyme called papain, which has exfoliating properties that successfully remove all the dead cells. This element also helps in enhancing the complexion and promoting fairness(1). The fruit also contains elements that are anti-inflammatory. Therefore, it relaxes and soothes acne-prone skin. Papaya also thwarts premature aging. It makes the skin firm, and removes fine lines, scars, and blemishes. It nourishes your skin, making it look brighter, moisturized, and glowing. Although there could be no adverse reactions when you use a natural fruit pack, it is best to do a patch test before you apply the pack on your face. Kiwis and avocados are both green, tropical fruits that, apart from being delicious, are loaded with essential nutrients. 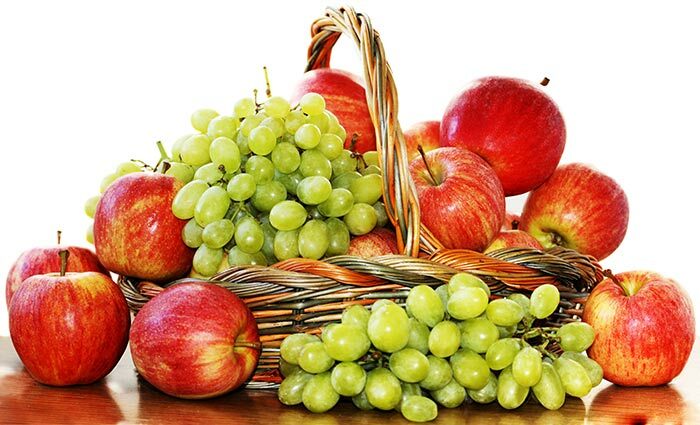 Consumption of these fruits is healthy for sure, but their topical application helps promote healthy, glowing skin. 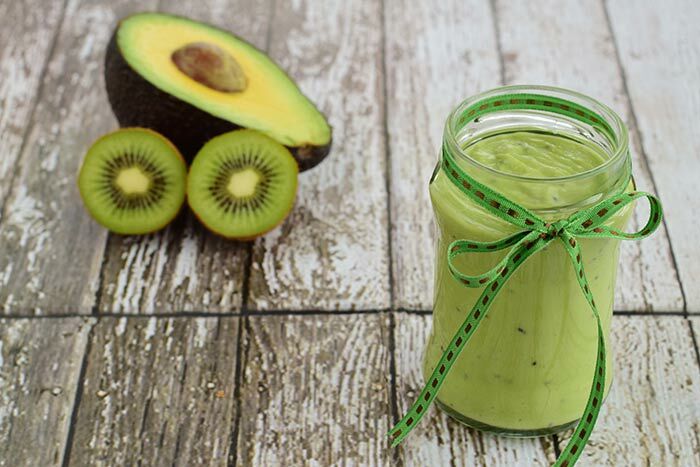 De-skin the avocado and the kiwi, and mash them together such that they form a smooth, creamy paste. Apply the paste on your face and neck, and leave it on for about 30 minutes. Rinse with water and pat dry your skin to see an instant glow. Don’t forget to moisturize your skin. This face pack works extremely well for all skin types. Apply this pack once a week for best results. Avocados are rich in antioxidants. They contain alpha and beta-carotenes. These compounds quench the free radicals, thus protecting your skin from environmental damage. It is usually this damage that causes visible signs of premature aging. Therefore, avocados help to protect the skin and prevent aging (2). Avocados also contain generous amounts of vitamins C and E that help in enhancing skin health. Avocados also have a high content of oleic acid, a monounsaturated fatty acid that traps all the moisture in the epidermis of the skin, therefore leaving it supple and moisturized. Being an omega-9 fatty acid, oleic acid also regenerates damaged skin cellsand soothes irritated skin (3). The omega-9 fatty acid forms the building blocks of healthy skin. Kiwis, like avocados, are enriched with vitamins C and E. They also contain antioxidants. These elements boost and rejuvenate theskin. Vitamin E also moisturizes and regenerates skin cells,thus improving skin elasticity and making it look youthful and glowing(4). Vitamin C is essential to produce collagen that keeps the skin firm, yet supple (5). These nutrients also prevent the skin from becoming dry and rough. Kiwis also have omega-3 fatty acids that are essential to maintain the health of skin membranes (6). These nutrients also fight free radicals, reduce acne, prevent excessive sebum production, and smoothen your skin. Kiwis are also known to lighten the skin tone and exfoliate your skin. Although there could be no adverse reaction when you use a natural fruit pack, it is best to do a patch test before you apply the pack on your face. One of the most common fruits found in every household, the banana is considered a powerhouse of energy. Well, bananas are a powerhouseindeed, not just for your body but for your skin as well. Although women with all skin types can use this pack, it really helps those with oily, acne-prone skin. 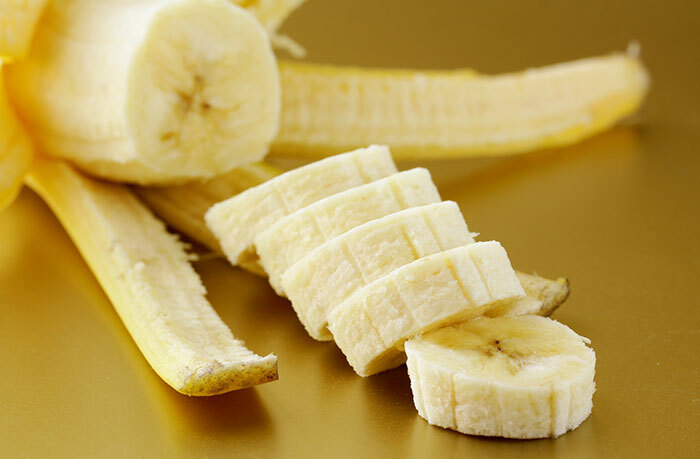 Banana is filled with nutrients that are important for great skin health (7). It predominantly containsvitamin B6 and vitamin C that are vital for the elasticity and integrity of the skin. It also contains antioxidants that thwart the damage caused by free radicals (8). The vitamin A will ensure your skin never peels or dries. You will be left with fresh, glowing skin once you remove the pack. The inclusion of tomatoes in this article might come as a big surprise to all because most people think tomatoes are vegetables. Tomatoes do come under the category of fruits, and are loaded with goodness, just the right amount that your skin needs. Tomatoes can be used on any skin type. If yogurt does not suit your skin, you could add milk and honey to the pack instead for the same effects. This pack can be applied every week. Tomatoes have a high content of lycopene that has amazing skin benefits (9).They help the skin absorb more oxygen, which not only delays aging but also protects the skin against the harmful UV rays. 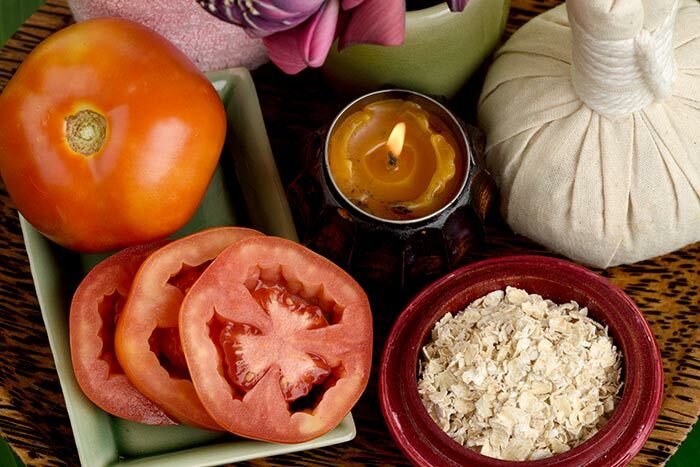 Tomatoes help in reducing tan and brightening the skin as well. They also contain vitamin A, vitamin C, and a whole lot of antioxidants. Tomatoes prevent acne since they help in closing open pores. They also cleanse and exfoliate the skin, and impart a healthy glow to the skin. 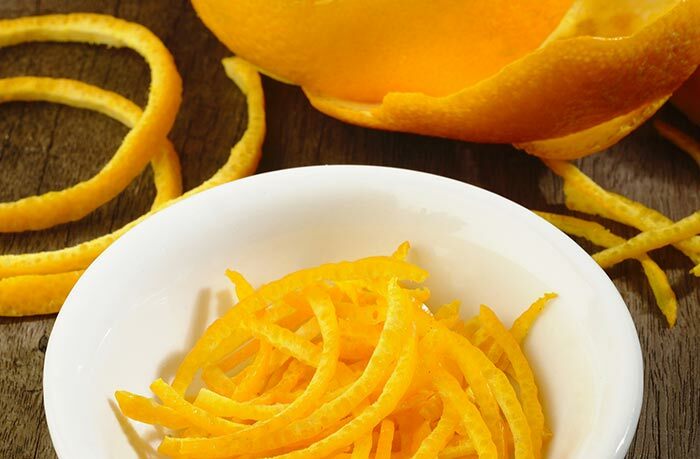 The pulp of the orange is healthy, and the rind of the fruit is extremely beneficial as well. It has nutrients that will refresh and rejuvenate your skin. This pack works best for women with oily skin. It can be used once a week. Orange peels work wonders for your skin (10). They clean your skin and open up clogged pores, therefore reducing acne and blackheads. They also reduce the secretion of excessive oils. Your skin will look refreshed and have a beautiful glow almost instantly. Although there could be no real reaction when you use a natural fruit pack, it is best to do a patch test before you apply the pack on your face. The ultimate summer fruits, cucumbers spell cool not just for your bodybut for your skin too. Peel a cucumber and blend it to make a puree. Mix the milk, honey, and brown sugar, and once it emulsifies well, add the cucumber puree to it. Apply this mixture on your face, and leave it on for about 20 minutes. Wash your face and pat dry. Whether your skin is oily, dry or normal, you can use this face pack. Use it once or twice a week. Cucumbers are known to soften and relax your skin and strengthen the connective tissue in the skin. This further helps to smoothen your skin and relieve it from any kind of irritant. It prevents water retention in the skin and also reduces any kind of inflammation. It works amazingly well to alleviate tanned and burnt skin (11). It cleanses your skin and opens up clogged pores. 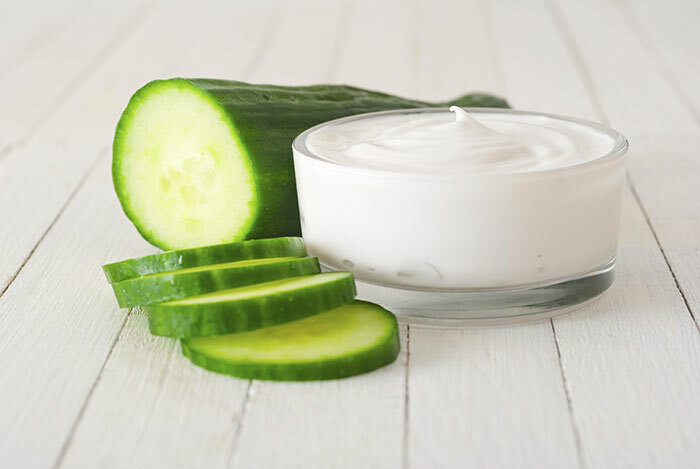 Cucumbers truly work like a magic wand for your skin, and always manage to leave your skin, fresh, rejuvenated and healthy, therefore glowing. Although there could be no real reaction when you use a natural fruit pack, it is best to do a patch test before you apply the pack on your face. This will ensure no allergic reaction. 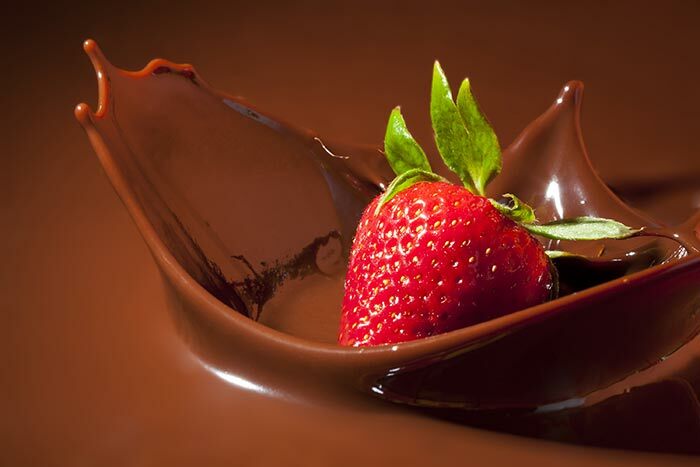 A combo of strawberries and chocolate sounds like an exotic treat, and it is indeed a treat for your skin. The richness of chocolate combined with the fresh goodness of strawberries works miracles for your skin. Women with all skin types can use this indulgent face pack. Use once a week when strawberries are in season. Strawberries are rich in essential vitamins and minerals. Theycontainvitamin C that fights free radicals and thwarts premature aging. They also help to lighten the skin, owing to the ellagic acid that is present in them. This also helps to reduce and omit spots and blemishes (12). The manganese and antioxidants tone the skin, and the alpha-hydroxy acid cleanses the skin and eliminates dead cells (13). The anthocyanin pigments protect the skin against the harmful UV rays and also reduce DNA damage and increase the rate of cell survival. Strawberries also contain lycopene that reduces aging. Strawberries are skin saviors. Both these are basic fruits that everyone loves and enjoys. Apparently, your skin loves them too. Blend together the apple and the grapes, until it becomes a smooth, soft paste. Apply on clean skin, and leave it on for half an hour. Wash and pat dry. No matter your skin type, you can safely use this face pack twice a week. Apples have a generous amount of vitamin C that helps build collagen in the skin. Collagen is an essential structural component of the skin that also maintains its waterproof barrier. Apples also contain copper that is important to keep the skin healthy. Copper assists in the making of melanin, the component that determines the color of your skin, and also protects it from harmful UV rays (14). Apples also contain vitamin A that aids in the development of mature, functional skin. Grapes are rich in vitamin C that helps in toning and firming the skin. They strengthen the red blood cells and also improve the elasticity of your skin. Grapes have vitamin E that moisturizes and protects your skin. Grapes also protect your skin against acne and pimples. The king of all fruits, mango, apart from being extremely tasty, is also rich in vitamins, minerals, and essential nutrients. This makes it a great ingredient for face packs. Remove all the pulp of a ripe mango and mash it until it is smooth. Add fuller’s earth to it, and make a thick, smooth paste. Apply this pack on your face and neck, and leave it on for about 30 minutes. Once the pack dries, wash it off, scrubbing gently in circular motions. You will see how soft and hydrated your skin looks instantly. This pack works well for all skin types. Mangoes are seasonal and hot fruitsby nature. You could use this pack once in two weeks. The fruit itself contains collagen, which firms and smoothens the skin. This also prevents premature aging. Mangoes help in cleaning the skin and unclogging the pores. Theyare great moisturizing agents, rich in vitamins A and C,which help to tone and rejuvenate the skin. 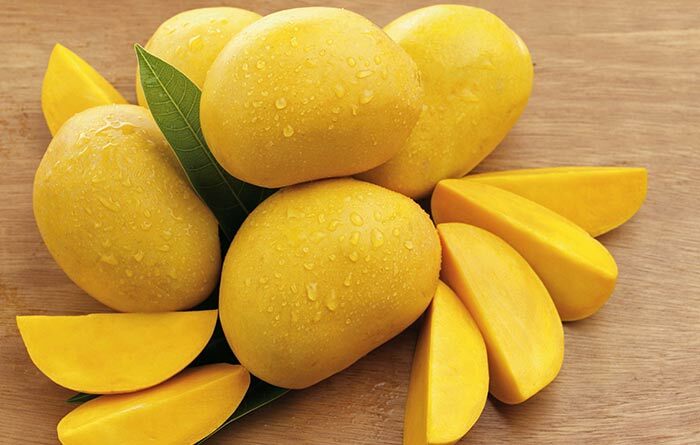 Mangoes truly help to make your skin look flawless and beautiful. Fruits make for great skin care ingredients. They are natural and filled with essential nutrients that no amount of chemicals can give you. If you are looking for immediate glowing skin, you must reach out to your fridge and whip up a fruit pack straightaway. The results are instant and guaranteed.